The University of Missouri Board of Curators announced the appointment of Timothy M. Wolfe, 53, as the 23rd system president. He follows our own Gary Forsee, CE'72, who led the UM system from 2008 through January 2011. The MU business school alumnus will assume responsibilities currently held by Interim President Stephen J. Owens, effective Feb. 15, 2012. To read more, please click here. Three NASA astronauts and S&T grads visited campus on Nov. 12, to discuss their careers and the future of space exploration. The trio shared their spaceflight memories, why they became astronauts and their experiences here in Rolla. To learn more about them and view videos of their stories, click here. Got a Cool Car? Let us Know! It's no secret Miners love their cars â€“ and there's no better evidence of that than the personalized license plates we see at alumni events around the county. That's why we're dedicating our summer 2012 Missouri S&T Magazine to Miners and their cars. Do you have a cool set of wheels? If so, we'd love to hear from you! Email your vehicle's make, model and year; how long you've owned it; why you love your ride; and a picture of it (of course) to alumni@mst.edu by Friday, Jan. 6, 2012. Our editors will select the most interesting stories and vehicles to share. Also, if you're interested in getting your own Miner personalized license plate, click here. Which Best Ever was the Best Ever? For a new feature in the Missouri S&T Magazine, we want your answers to the question: "Which Best Ever was the best ever?" Tell us the year of your most memorable St. Pat's Celebration, and why it was so memorable. (Keep it clean, please.) A sampling of the best entries will be included in the Spring 2012 issue. Send your responses to alumni@mst.edu. Are you interested in developing the next generation of Miner Alumni? Participate in Missouri S&T Career Opportunities and Employer Relations' mentoring program to inspire current students, share your experiences and offer advice! You can customize the program to suit you by specifying the number of contacts per month, designating your preferred method of contact and much more. To learn more about this program, click here. Since 2007, the Career Opportunities and Employer Relations (COER) office has offered a suit closet FREE of charge to all Missouri S&T students. These suits have helped hundreds of students in preparing for career fairs and interviews. Due to the success of this program, the COER is currently in need of men's suits, slacks, dress shirts and ties. If you would like to donate, please contact Cindy Welch at 573-341-4301 or welchcy@mst.edu. All items should be clean and ready to wear at the time of donation. Want to make a gift online to the Miner Alumni Association using your credit card? Please click here for more information. Start the year on the right foot with the Miner Alumni Association Visa SignatureÂ® Card. Sign up for the Miner Alumni Association Visa SignatureÂ® Card today and you'll get a 1.99% Intro APR on purchases and balance transfers for six billing cycles, and after that a variable rate, currently 9.99% - 21.99%1! Plus, whenever you use your Miner Alumni Association Visa SignatureÂ®, you'll earn one point for every net dollar spent. Plus, with every Visa Signature Card purchase, U.S. Bank will make a contribution to the Miner Alumni Association! 1 The 1.99% introductory APR applies to purchases and is valid for the first six billing cycles. The 0% introductory APR applies to balance transfers [made within 30 days of account opening] and is valid for the first six billing cycles. The introductory rate does not apply to cash advances. Thereafter, the APR may vary and as of 10-01-11, the undiscounted variable APR for Purchases and Balance Transfers is 9.99% - 21.99% based on your creditworthiness. The variable APR for Cash Advances is 23.99%. Cash Advance fee: 4% of each advance amount, $10 minimum. Convenience Check fee: 3% of each check amount, $5 minimum. Cash Equivalent fee: 4% of each cash amount, $20 minimum. Balance Transfer fee: 3% of each transfer amount, $5 minimum. There is a $2 minimum finance charge where interest is due. The annual fee is $ 0. Foreign Transaction fee: 2% of each foreign purchase transaction or foreign ATM advance transaction in U.S. Dollars. 3% of each foreign purchase transaction or foreign ATM advance transaction in a Foreign Currency. We may change APRs, fees, and other Account terms in the future based on your experience with U.S. Bank National Association ND and its affiliates as provided under the Cardmember Agreement and applicable law. We apply your minimum payment to balances with lower APRs first. Amounts paid over the minimum payment will be applied in the order of highest to lowest APR balances. 2 Accounts must be open and in good standing (not past due) to earn and redeem points. 3 Certain restrictions and exclusions may apply. Individual transactions are evaluated by U.S. Bank based on factors such as suspected fraud, Account history, credit record, payment resources, revolving balances, prior cash advances, and safety and soundness considerations. If U.S. Bank authorizes a transaction that causes you to exceed your revolving credit line, then you must pay, as a part of your monthly minimum amount due, the amount by which your new balance exceeds your credit line. 4 Cardmembers are responsible for the cost of any goods or services purchased by Visa Signature Concierge on cardmembers' behalf. The creditor and issuer of the Miner Alumni Association Card is U.S. Bank National Association ND, pursuant to a license from Visa U.S.A. Inc.
Â· Got a Cool Car? 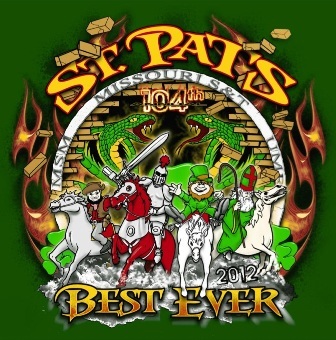 Driftless Section's "63 Days till St. Pat's 2012-Get Psyched" Event!